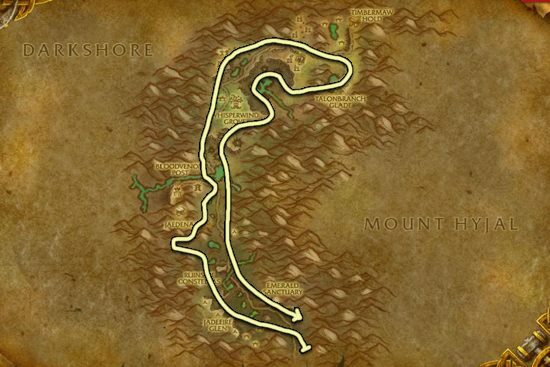 I made this Golden Sansam farming guide to help out players who want to farm the herbs instead of buying them from the Auction House. It's recommended to have around Herbalism 260, so you won't get herb fragments. Golden Sansam grows close to objects, usually trees. The herbs are a bit spread apart, so you have to sometimes move in a zigzag. There is probably more Sorrowmoss than Golden Sansam in this zone, but Swamp of Sorrows still have more Golden Sansam than other zones. Felwood is a good alternative to Swamp of Sorrows. 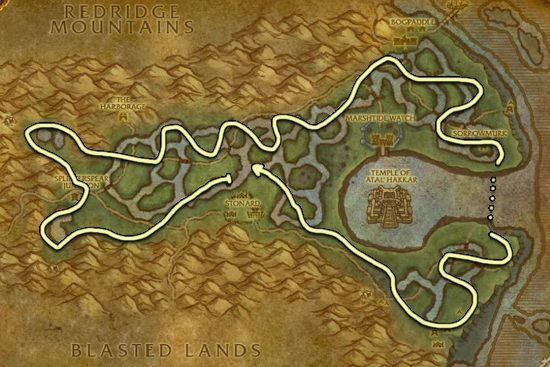 You will also get Dreamfoil, Gromsblood and Purple Lotus in this zone.